NEO Subsea AS is currently working on the product development of a laser based underwater imaging system capable of giving 3D information as well as normal grey level images. Many will refer to such a system as a laser camera. The technology has originally been developed by Norsk Elektro Optikk AS. This page shows some examples of the work done and the challenges we are facing in the development and testing of the equipment. 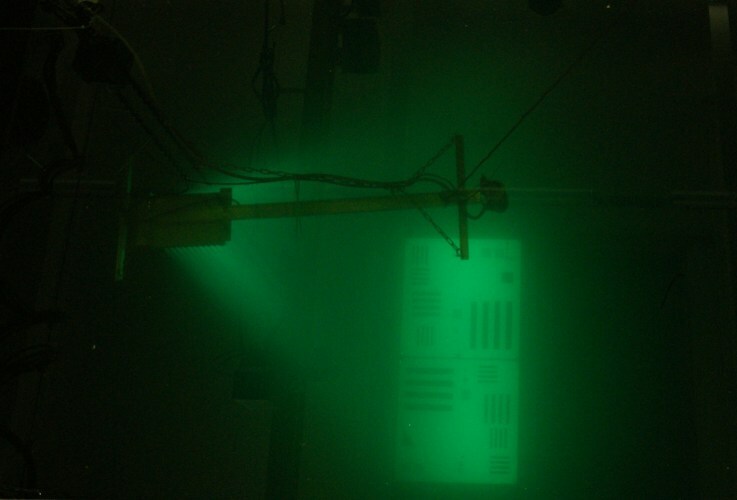 The laser line generator is tested in the lab at NEO using a fog machine. Part of the laser line can be seen in the ceiling. 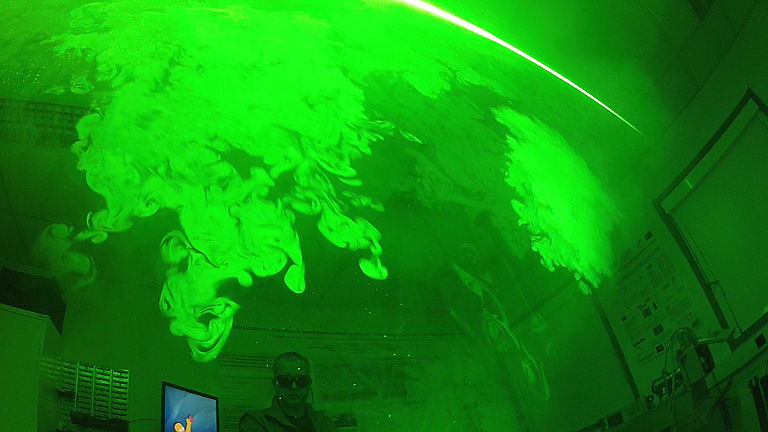 LaserShark is a high performance laser based imaging system optimised for AUV and ROV use. It has a wide swath width as well as a long range. You can read more about the LaserShark system here. TileFish is a LED based camera system generating an image mosaic of the seabed. It has a low power consumption and is optimised for use on Hugin AUVs. TileFish was originally developed by Norsk Elektro Optikk AS in cooperation with the Norwegian Defence Research Establishment (FFI). The TileFish system is now being marketed by NEO Subsea AS. TileFish is available in monochrome and colour versions. You can read more about the TileFish system here. This picture shows testing of the TileFish LED based camera in turbid water. We can see the rays from the individual green LEDs in the LED panel. 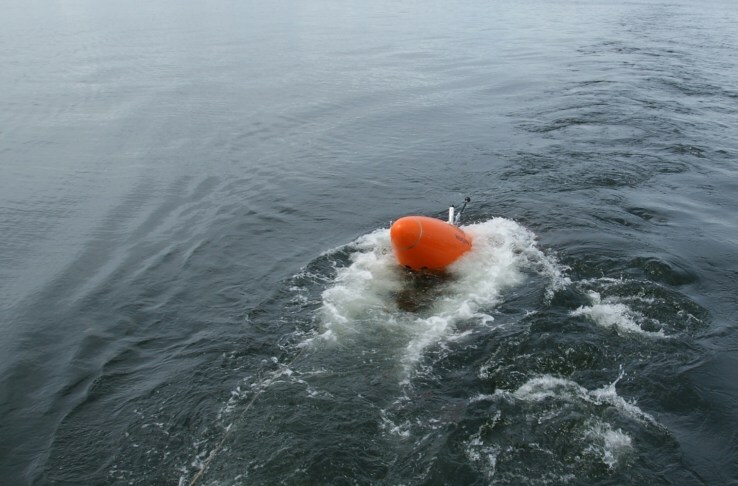 This picture shows the launch of a Hugin AUV when field testing the TileFish System. This picture shows an image tile from the TileFish system acquired during one of the first field trials.